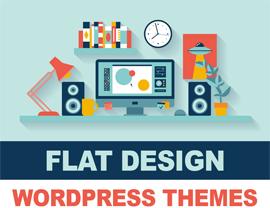 Kirigami WordPress Theme is an impressive premium business / portfolio WP theme from RocketTheme. This classy theme is ideal for business, corporate, agency and portfolio website. 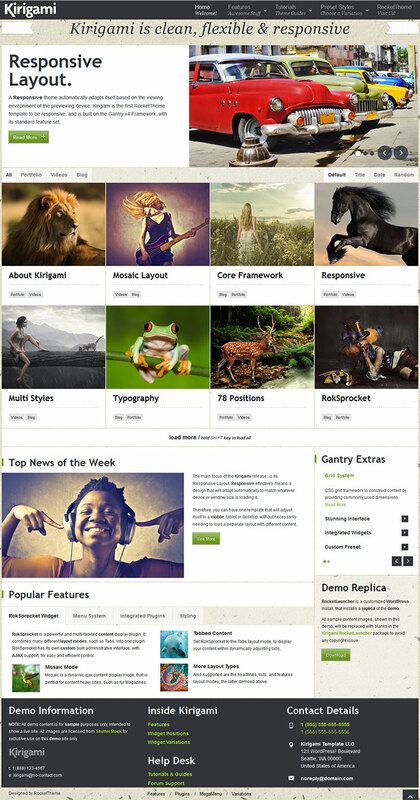 Kirigami WordPress Theme is a fully responsive and is built in Grantry Framework V4. Kirigami WordPress Theme includes many features and functionality like mobile optimized layout, stylish featured content slider for homepage, customizable intro text on front page, portfolio to showcase your best work or display your product, sort portfolio / product by category, title, date, random and default, automatically loads all the products / portfolio item upon pressing shift key, featured news section at homepage, 10 preset design styles, lots of widget variations, huge custom content typography collection, 25 structural widget variations, stunning fusion and split navigation megamenu, built on Twitter Bootstrap Framework, responsive image gallery, support for all Rocket Theme extensions, Gantry Framework integration, theme setting options panel and more. 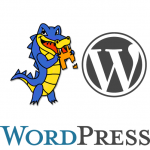 NOTE: Kirigami WordPress Theme needs Gantry Framework v1.30+ to work correctly.